This is VCLSkin demo for TBX2.1. run demo , click "Open" button to change skin file. 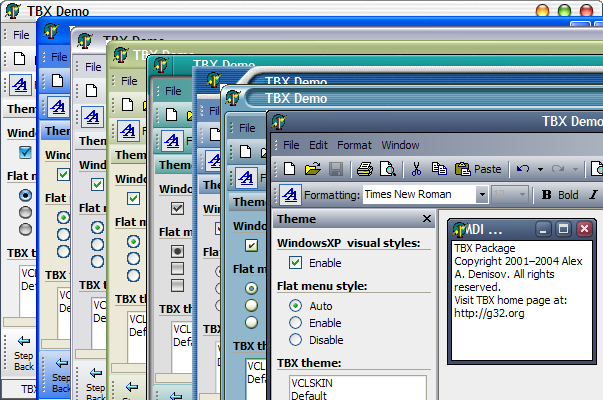 1.just add TBXVCLSkinTheme.pas,rmkThemes.pas in your application. 2.add "TTBXDockablePanel=Panel" in skindata.skin3rd if it not exist.